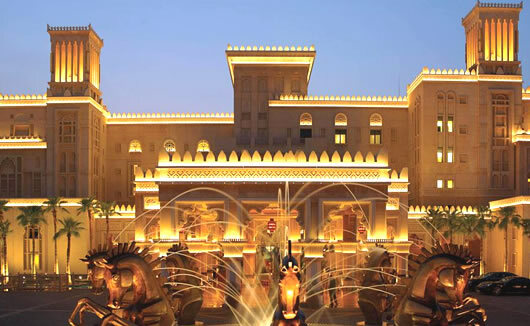 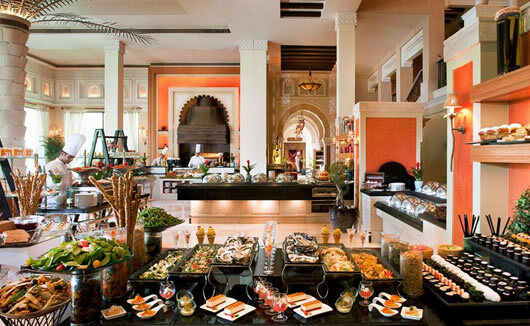 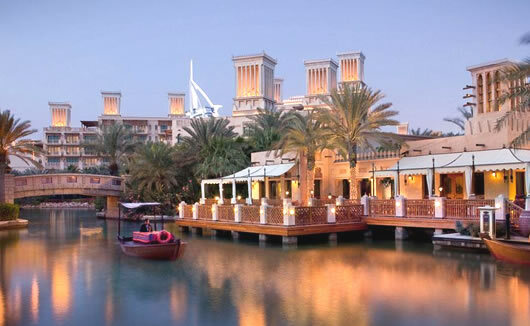 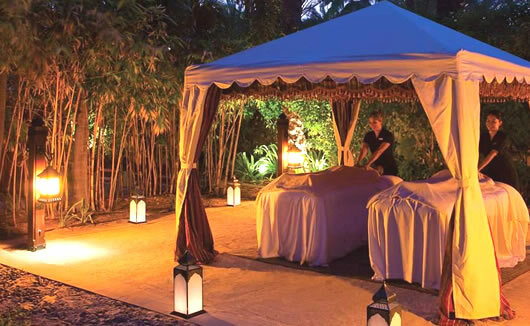 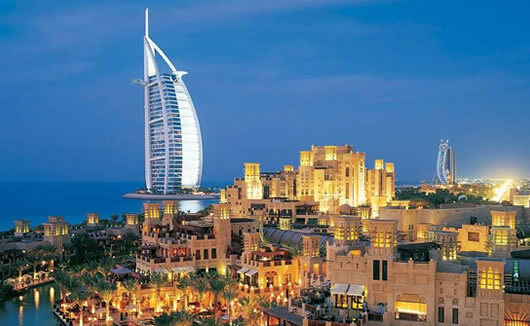 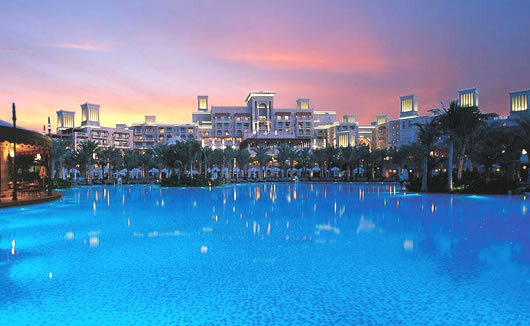 Jumeirah Al Qasr at Madinat Jumeirah is a luxury 5 star hotel located on the wider Madinat Jumeirah resort, offering guests unlimited access to a whole world of amazing amenities and dining experiences. 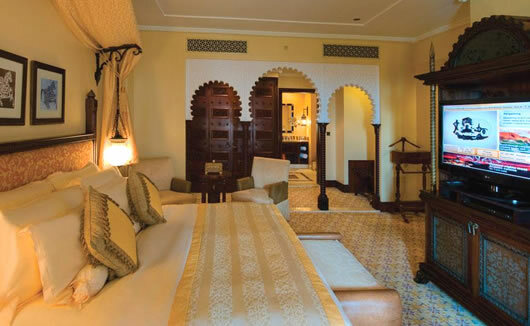 This boutique establishment, meaning “The Palace”, has been designed in the style of a Sheikh’s summer residence and the palatial theme can be seen throughout the property. 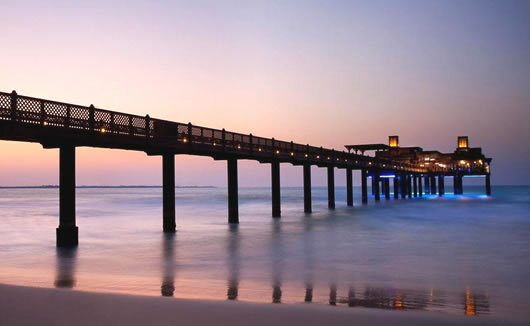 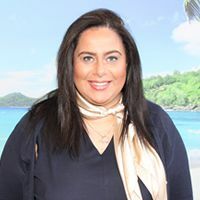 Stay at the hotel and you will be able to enjoy a choice of over 40 different spots to wine and dine, on-site shopping and a traditional souk, a beautiful private beach area complete with watersports, award-winning spa facilities and luxury swimming pools both inside and out. 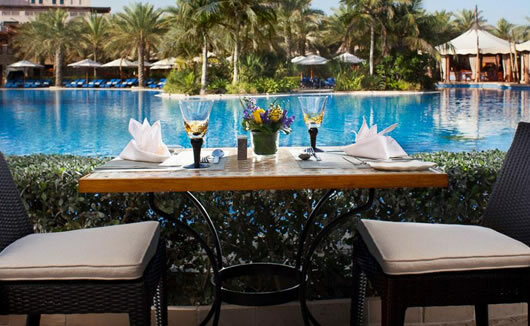 A children’s play area is also available. 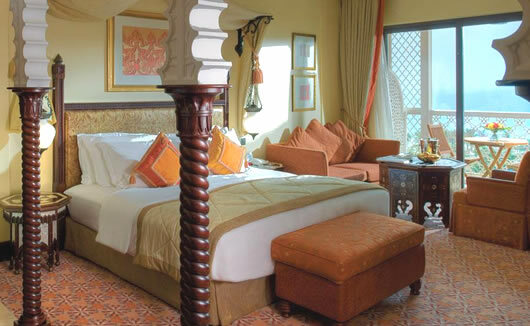 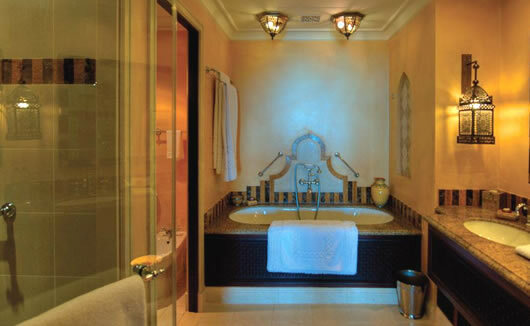 The 294 rooms and suites at Madinat Jumeirah’s Al Qasr Hotel have been created to reflect a traditional Arabian palace.